It's well known that energy is bountiful in the natural world: wind, water, sunshine... but how to harness this power is the question that's been bugging scientists for generations. Now there's a way to generate electricity using plants: specifically, photosynthesis (the process by which plants convert sunlight into energy). 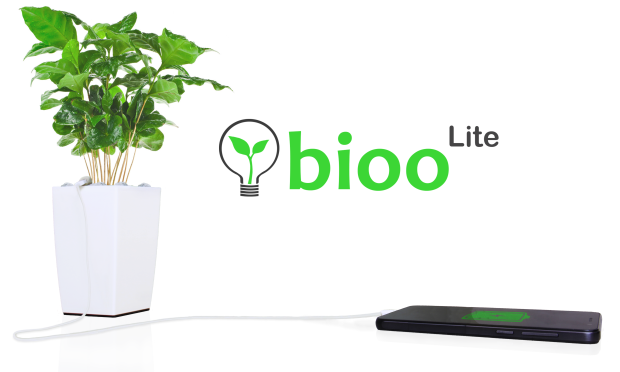 Bioo Lite, made by Arkyne Technologies is every nature-lover's dream: a way to recharge your phone's battery without producing carbon emissions. 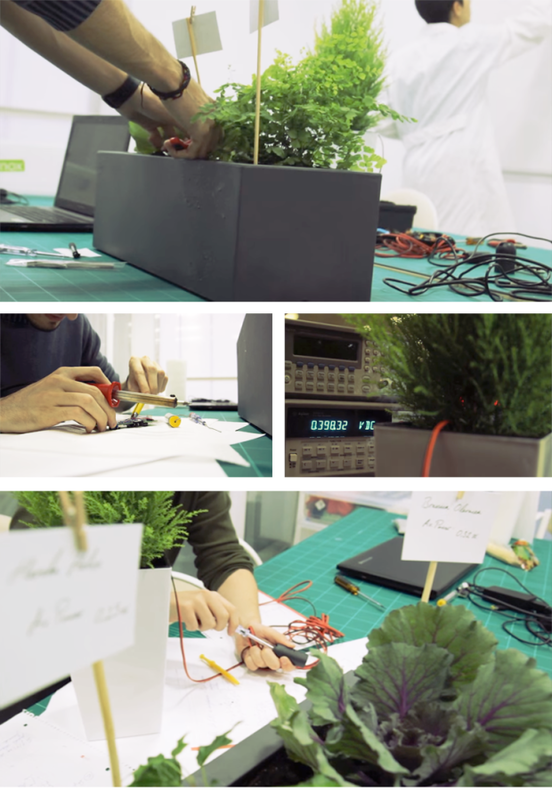 "Would you believe us if we told you that you can charge your devices with any type of plant? Sounds crazy, right? Like brought out of your best dream, where plants could supply us with the greenest and cleanest energy possible." "Energy created by the plant´s biological elements expelled after photosynthesis is transferred for our use in form of electricity. It is simply part of the essential process of photosynthesis in which every plant has to take part to live. The process includes a chemical and biological hybrid cell. This combination is vital to stabilize the system. This way, we are not forcing the plant to do or create anything else rather than what it always makes. It does not harm the plant in any way, either the technology or the process applied, and so environment is also a great winner from the implementation of this revolutionary technology. Furthermore, our system is self-regenerating." In fact, the design has been so successful that at the point of writing, the Indiegogo campaign to fund the design's development has raised 453% of its goal. Here's hoping we can all be using devices such as these to reduce our carbon impacts in the future! What do you think? 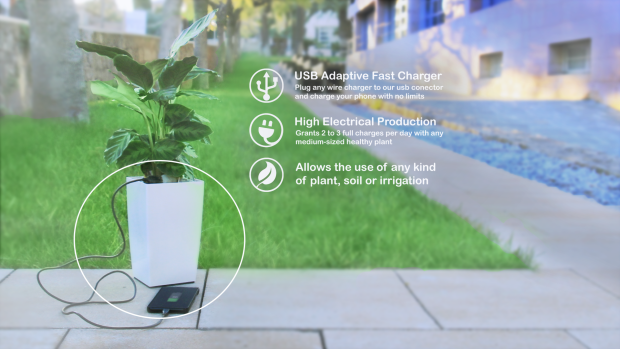 Would you like to be able to charge your devices using pot plants? Let us know your thoughts in the comments below! READ THIS NEXT: Could you fit all of your rubbish for a year into two plastic bags? This guy can!